Bruce Harvey moved to Hot Springs Village from Highlands Ranch, Colorado in 2002. He graduated from Louisiana Tech University with a BS degree in Electrical Engineering. His career included nine years as a design engineer at Texas Instruments, and thirty-five years in commercial real estate asset management. During high school, Bruce performed with all-district and all-state bands in Louisiana. Following high school graduation, he traveled on a tour of Europe with the All-Student USA Band. 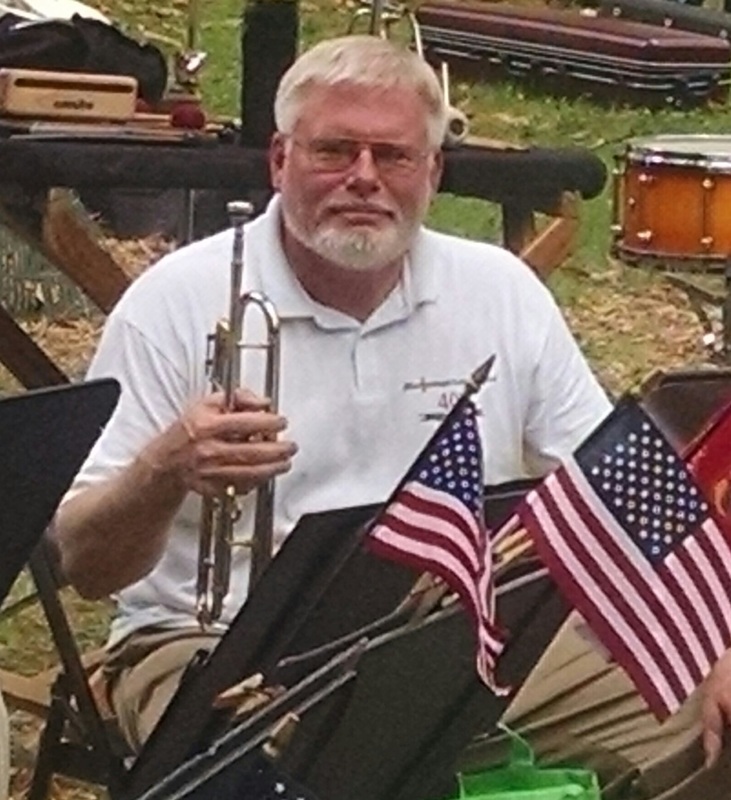 Bruce has played trumpet in the Hot Springs Concert Band since 2013, and also plays in the Village Big Band, Hot Springs Brass, and the Balboa Baptist Church instrumental ensemble. Bruce and his wife,Becky (who plays flute in the band) have been married for 43 years and have two adult children and six grandchildren. Nora Cole was born in Hot Springs, raised in Hope, and attended college in Tulsa, OK, obtaining a BA with majors in English literature and telecommunications. For the next 20 years, she lived in Tulsa; on Thanksgiving 1998, she moved back to her "heart's home" of Arkansas. Six months later, after a 22-year hiatus from playing, she was loaned a trombone and has been playing ever since. Working nights as a medical transcriptionist, she has the freedom to be active in concert band, the Village Big Band, as well as the Hot Springs Baptist Church orchestra. Her life is blessed, having come full circle to home, family, music, and friends. Sally Matthews joined the New Horizons Band in 2005 after moving to Hot Springs Village earlier that year. She played the flute from the fifth grade through high school, but then hadn't played for about 40 years. In the Fall of 2006, she moved to the Concert Band. She was born in upstate New York, and lived in Minnesota and Texas before retiring with her husband, Gary, to the Village. She has a BS and MS in nursing, working most recently as an Occupational Health Nurse for 3M in Austin, Texas. She and Gary have two sons and four grandchildren. Her other interests include genealogy and quilting. Rick Perryman moved to Hot Springs Village from Midland Texas and graduated from West Texas State University in Canyon, Texas. He majored in Music Education, Tuba performance. He retired in April of 2010 from Entergy as a General Manager after working for them for 31 years, managing Power Plants in Arkansas and Louisiana. He is married to Debbie and they have one daughter, Emily, who now lives in Little Rock. His career took him away from music so he is very happy to be able to play in the band and any other ensembles that need a tuba player. Jeff Olson, born in Tacoma, WA, raised in Oklahoma, began his music journey at 8 years of age with piano, but was captivated by the trumpet soon thereafter and started playing in 6th grade. He played through high school and into college, having had the honor of being selected to the 1973 Oklahoma All-State Stage Band. He became part of the HSCB in 2008 and the Spa City Brass in 2014. 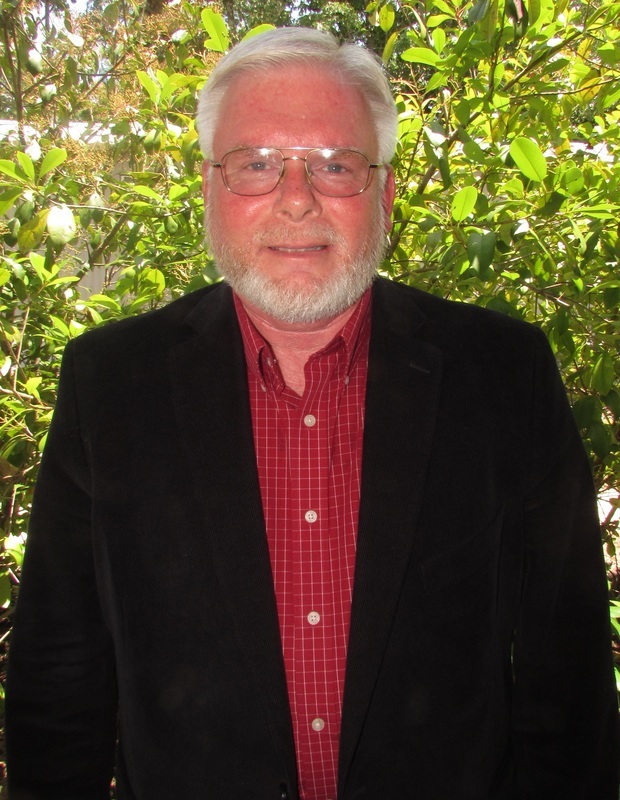 Jeff is a graduate of Oklahoma State University, with a BS degree in Forest Mgmt and recently retired after 38 years as a soil scientist and soil survey project manager. Jeff and his wife Denise make their home in Mena, AR and have three adult children. Jeff is proud to be a part of the HSCB and believes it plays an important institutional role in the communities it serves. "The band represents the best traditions of American culture and contributes to the preservation of our rich and diverse musical heritage which bonds past generations with those of the present and future." Ann King is one of the newer members of the Hot Springs Concert Band, having joined us for the Summer 2018 semester. She comes to us from The New Horizons Band. As like many of us, her musical interest in instrumental and vocal music started with her elementary school band and chorus. She was very active, participating in concert and marching bands, choirs, and two year participant in Marylands All-State Chorus. She took her love of music to college, and was a participant in a Baroque Music Festival in northern Wisconsin. Her career took a different turn, and spent 23 years as a Registered Dental Chairside Assistant, practicing in the specialties of General Dentistry, Orthodontics and Oral Surgery. After retiring, Ann and her husband moved to Hot Springs Village in 2016. She became active in music again and joined the New Horizons Band and Hot Springs Concert Band. She is grateful for the opportunity to serve on the Board of Directors. ​​David McAllister is a native of Camden, Arkansas, and graduated from Fairview High school in 1964. He earned a B.S. in chemistry from Southern Arkansas University, and a Ph. D. in Analytical Chemistry from the University of Oklahoma. He spent his entire career in the chemical industry with Chemtura Corporation, first in El Dorado, Arkansas, and then in Lafayette, Indiana, retiring in 2013. David continues part time employment as a consultant to the chemical industry. he has lived in Arkadelphia since 2001. David began playing trumpet in fourth grade, and continued through high school and college. Upon moving to El Dorado after graduate school, he played in the pit orchestra for several community theatre productions, and in the South Arkansas Symphony for a few years. While in Lafayette, IN, he played with the Lafayette Citizens Band, one of the oldest community bands in the U.S., having been in existence since 1842. David joined HSCB in 2003, and plays in the church band at First Baptist Church in Arkadelphia. In addition to his musical activities, David enjoys travel with his wife, Cathie, volunteer work with Arkansas Baptist Disaster Relief and the Arms Around Arkadelphia home repair ministry, and spending time at his cabin in the mountains near Jasper, Arkansas.